You know his name. That is the tagline for a film that is sure to bring people to the theaters, especially if they were fans of the earlier trilogy. Yes, Jason Bourne is back! This new film is respectively called Jason Bourne and Matt Damon is back as the titular character with Paul Greengrass back in the director’s chair. It’s been years since the Bourne trilogy came out, with the last being The Bourne Ultimatum. I loved all three films, and I’m excited to see what this new one has to offer. When The Bourne Legacy came out, I was excited to see it and what it had to offer. When I finally saw it, I walked away confused and unsure of what exactly went on in the film. The storytelling was flawed and didn’t seem to make sense. It was cool to see Jeremy Renner as an agent similar to Jason Bourne, but ultimately the story, and its characters, didn’t pan out well. I feel confident enough to say though that we’re about to get another great film to add to the Bourne film series with this new film, Jason Bourne. Based on the trailer, it seems Bourne is in a place where he remembers everything about himself. This film takes place several years after The Bourne Ultimatum and will have a different theme compared to those of the trilogy. This is no surprise, as Damon and Greengrass has said in previous years that the Bourne trilogy was a complete story from beginning to end and there wasn’t anything else to necessarily add to the story at the current time the Bourne trilogy ended. In order for Damon to come back as Bourne, he said Greengrass would have to come back as director and that there needs to be a good reason to get Bourne back on the screens. Bourne did discover himself pretty much by the end of The Bourne Ultimatum, and as much as fans like myself would like to see more films, in order for there to be more films there would have to be a good stories attached to them. Better to leave a film series as they are rather than add more films to the roster that aren’t as good as the first set. Now it looks like Greengrass and Damon have a story to tell. With years having passed, this trailer shows that Bourne has his full memory back, but as Nicky Parsons, played by Julia Stiles, says, “Remembering everything doesn’t mean you know everything.” With that statement we set out with another story and film. Bourne found out who he is. Now he has to find out why he became who he is. The trailer shows Nicky Parsons hacking the CIA to get more information on Bourne’s past and/or the programs that created him to be an assassin. Somewhere in that sea of information may be the key to finding out what Jason Bourne volunteered for when he transitioned from the identity of David Webb to Jason Bourne. Of course you can’t expect to hack into the CIA and not expect someone to come hunting you down. He meets opposition from various CIA agents and probably other enemies, although those “other enemies” are not known yet. We’ll have to wait to find out more about other third parties that may cross Bourne’s path. Bourne’s immediate enemies, or maybe “frenemies,” come in the form Tommy Lee Jones as Robert Dewey, the CIA director and Alicia Vikander in an unknown role, but also working for the CIA, as it would seem. I say that Bourne’s enemies may not be his enemies because amidst all the crazy actions scenes we’re treated to we see Bourne contact Jones’ character, Dewey, to get information. We don’t know the circumstances surrounding this situation, but I’m confident enough to say Bourne isn’t happy with what he find out, as he says that he finds out he volunteered for this program under the guise of a lie told to him. Well when that is the truth of the situation, you can be Bourne will go full on Bourne mode and push anything in his path out of the way that keeps him from finding out about the truth. It’s exciting to see Matt Damon back as Bourne and Paul Greengrass back directing another Bourne film. I will definitely be seeing it when it comes out. There’s promise of a good story and a lot of crazy action scenes to go alongside the story. I’m pretty sure there were cars flipping , guns being fired, and a SWAT truck crashing into a casino into the trailer. The action is looking good so far. Until the film comes out maybe we can wait for another trailer to drop, perhaps. 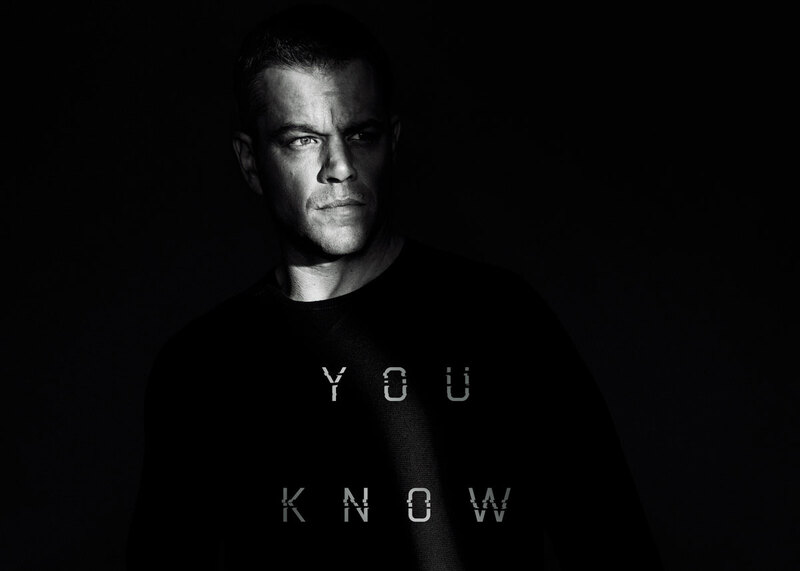 Jason Bourne comes out in theaters on July 29, 2016. Bourne fans, mark your calendars to see it that weekend!